​A 13-year-old student of the Command Secondary School, Kaduna road, Suleja- Niger state, is currently in intensive care after a reaction to medicine at the school’s sickbay. The teenager is believed to have been fed a malaria drug with a high dose of sulphur. The student sought medical treatment at the school’s sickbay for having a headache and high body temperature. A nurse on duty, on the evening of April 30th, gave him some drugs and told him to lie down at the sickbay. Not too long after the drugs were administered, the student developed blistering rashes all over his body, his eyes turned red and his lips started to swell. 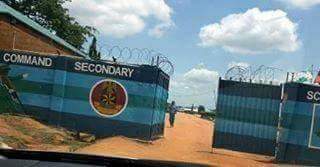 Reports say after three days, the school authority contacted the boy’s parents who then took their child to Kubwa General Hospital in nearby Abuja. The parents were told that their son had been given Augmentin and Paracetamol tablets, but tests conducted at the hospital revealed his reaction was caused by sulfur, contradicting the claim that he was given Augmentin. The father, Wahab Ibrahim, has accused the school of gross negligence that is threatening the life of his son. The boy who has blisters and sores all over his body; is in danger of going blind and doctors suspect that his internal organs may have been compromised, Ibrahim told reporters. According to Mr Ibrahim, the school authority has remained unconcerned, leaving the parents to carry on with the battle of saving their son’s life. 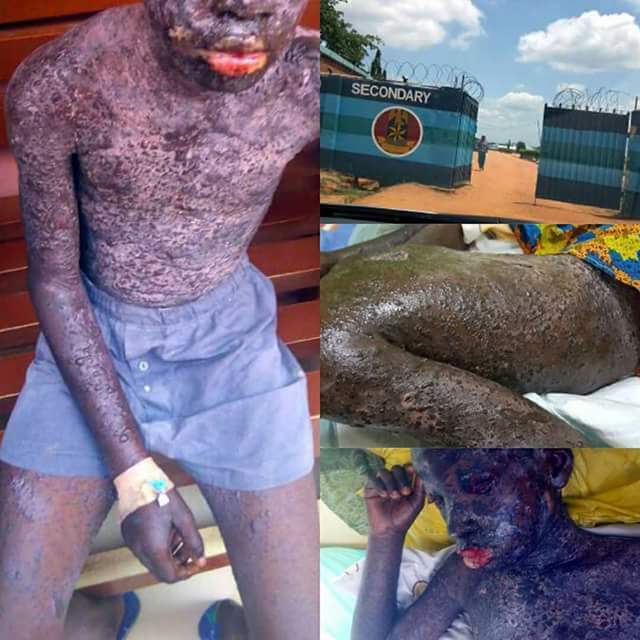 A team of medical experts at the Kubwa hospital say that the boy must be reacting adversely to sulfur, probably contained in Fansidar, a type of drug used for treating malaria but banned in some countries for its alleged high content of sulphur. The school is however, insists that the boy was given augmentine and paracetemol and not Fansidar. The National Agency for Food Administration and Control (NAFDAC) are aware of the situation and have visited the Ibrahims at the Kubwa General hospital but are yet to make a formal statement pending investigations.